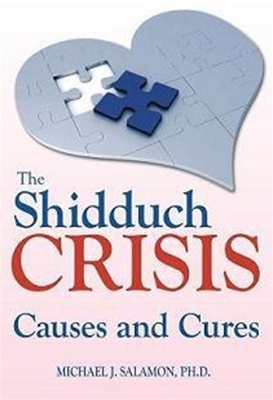 The Shidduch Crisis: Causes and Cures takes a hard, honest look at the real difficulties faced by the dating public in todayâ€™s Orthodox world. With the rates of divorce and eating disorders rising, complaints regarding the shortage of men and the move away from socializing activities to the extensive use of third-party matchmakers, a true crisis exists and may be worsening. In this book, the author explores these issues, particularly those related to how matches are made. He finds that most are made based on availability, not compatibility, and on superficial criteria that have no relevance to what truly makes a marriage successful. Citing relevant data from the fields of psychology, sociology, and neurology, along with a host of anecdotes from a wide range of people, Dr. Salamon, a well-known psychologist, author, and lecturer, provides guidelines to help alleviate this crisis.